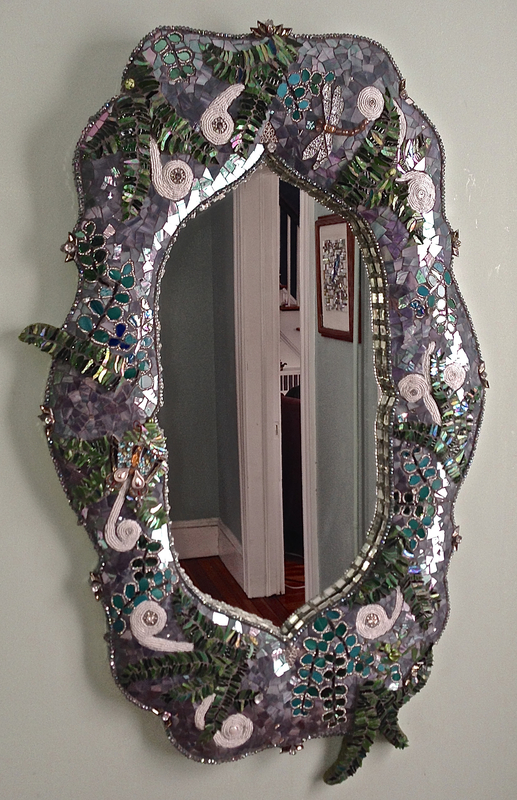 “FERN” hand sculpted 3D mirror base with crystal, beads, stained glass, rhinestones, Russian china, mirror, found objects. Private Collection. Pricing available on request.